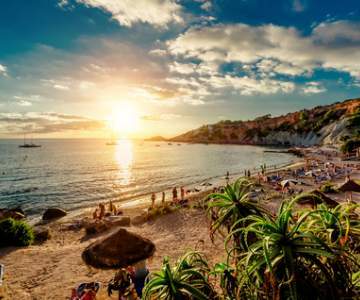 Look here for when a flight to Ibiza is the cheapest and book your chance! Hover with your mouse over the graph to look at the exact price for each day. 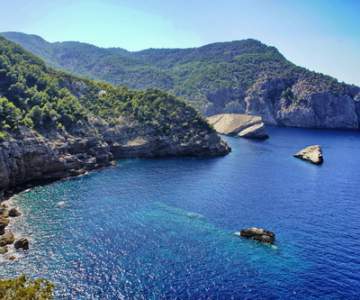 Look here for when a flight to Ibiza is the cheapest and book your chance! Buy cheap flights to Ibiza. 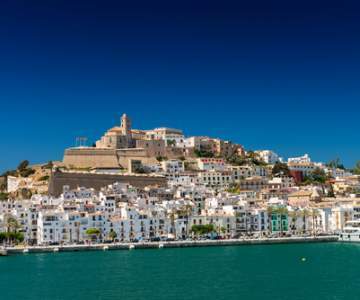 The small Spanish island of Ibiza is world famous for its nightlife. The hottest DJ's from around the globe make crowds of party people go wild every single night in their favourite club. Still there is more to Ibiza. 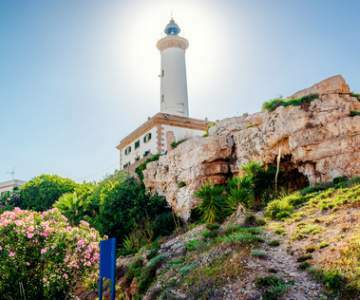 During the day temperatures rise and the beautiful beaches of Playa d'en Bossa seduce you into many sportive activities, both on sand and water. Ibiza isn't famous for it's silence, but there is quite a lot of it if you get out of the clubs every once in a while. The island is even blessed with a marvellous nature reserve. Fly cheap to Ibiza through BRUXX. Book your tickets online, its fast and easy! 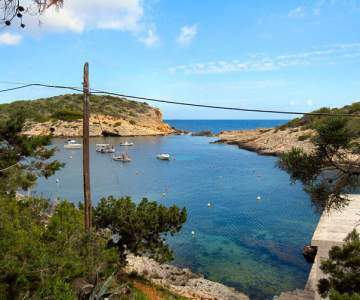 Ibiza is only available in the summer season, between may and november.